This nice system was built in Japan by EPOCH and sold in europe (mostly and maybe only in France, where it was distributed by the well known pong seller ITMC) under the YENO brand. Successor of the Cassette Vision (1981) and Cassette Vision Jr (1983), units that never hit the european market, the Super Cassette Vision system was an unsuccessful competitor of the Nintendo Famicom in Japan. In France, on the other hand, Yeno had the opportunity to sell a few thousand units before the beginning of the marketing of the NES. 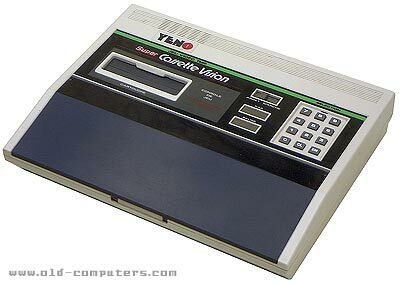 Built around a Z80 clone, the Super Cassette Vision was a good system, but with only about thirty (although of good quality) games, its sales remained anecdotic. EPOCH developed many of the available games and later sold a limited Lady edition, bundled with a pink carrying case and the Milky Princess game. VRAM 2 KB * 2 + 2 KB + 16 Bytes ? see more Yeno Super Cassette Vision Ebay auctions !